A gallery of pictures, thoughts and ideas. The Australian building industry lucks out as the economy falls. 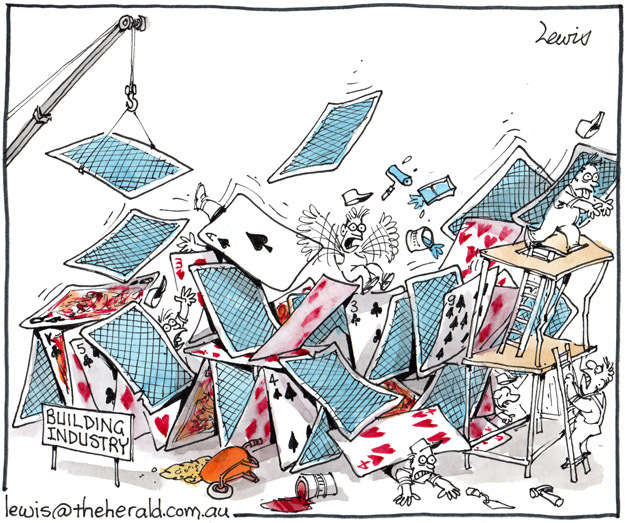 This entry was posted in Editorial Cartoons and tagged building, buildings, card, card castle, collapse, industry on December 3, 2012 by Art by Peter Lewis. The Scariest Clown of all.